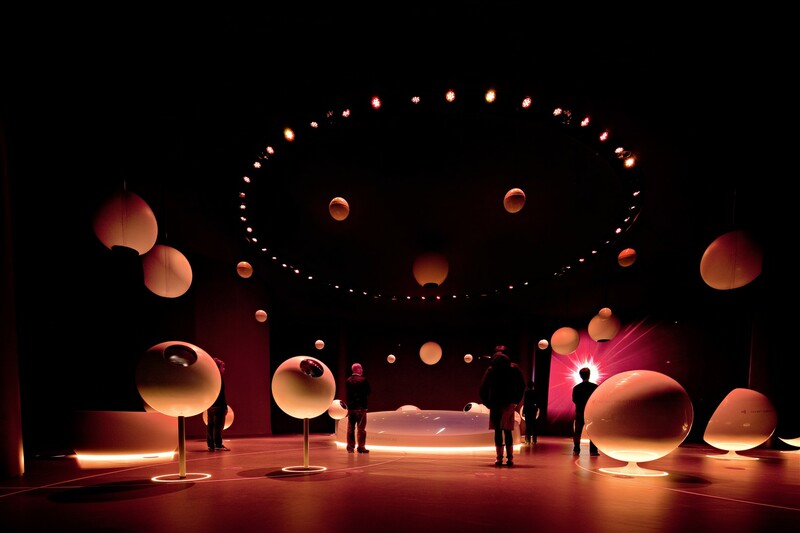 The “Universe of Particles” exhibition in CERN’s Globe wins the silver design prize from the German direct business communications association FAMAB. Not only do tens of thousands of people visit the “Universe of Particles” exhibition each year, but juries for design prizes are crossing its threshold more and more frequently too. In 2011 alone it claimed 8 awards, including winning outright the 2011 Annual Multimedia award, the iF Communication Design for Corporate Architecture award and the Modern Decoration Media award (the Bulletin already reported on some of these in July 2011). The FAMAB award is the latest to join the prestigious list. The jury of FAMAB’s “ADAM 2011” award was particularly impressed by the hands-on nature of the exhibition, which encourages visitors to get interested in science. They also appreciated the way that the space in the Globe is not just a container for the exhibits, but itself becomes a major part of the exhibition during the main show. The other prizewinners demonstrate the high overall level of the competition. The gold-prize winner was the “Audi Qube3” in Barcelona, Spain, a stunning die-shaped building entirely covered in mirrored tiles. Deutsche Bank’s headquarters in Frankfurt, Germany, won the bronze prize, using ingenious ways of integrating the bank’s logo into the interior architecture.